Situated a few yards to the North of the mighty York Minster, the Bishop’s palace, a beautiful almost secret building, sits screened by trees. Above. The 12th century arcade, now used as a War Memorial. There are two major parts to this site….the first, is a late 12th century arcade, known as Archbishop Roger’s Arcade, repaired and consolidated in 1987 and now turned into a war memorial. Above. A view of the Chapel from the walls at Moatside Court. 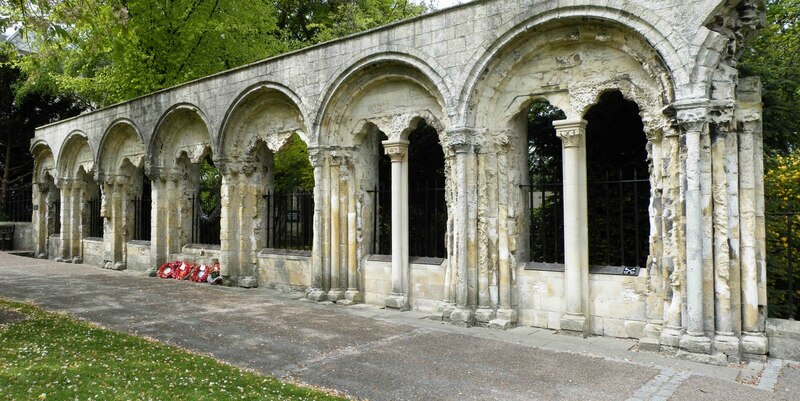 This is a beautiful piece of architecture, consisting of seven arches two of which are supported by pillars. It was built for Archbishop Roger de Pont l'Eveque. 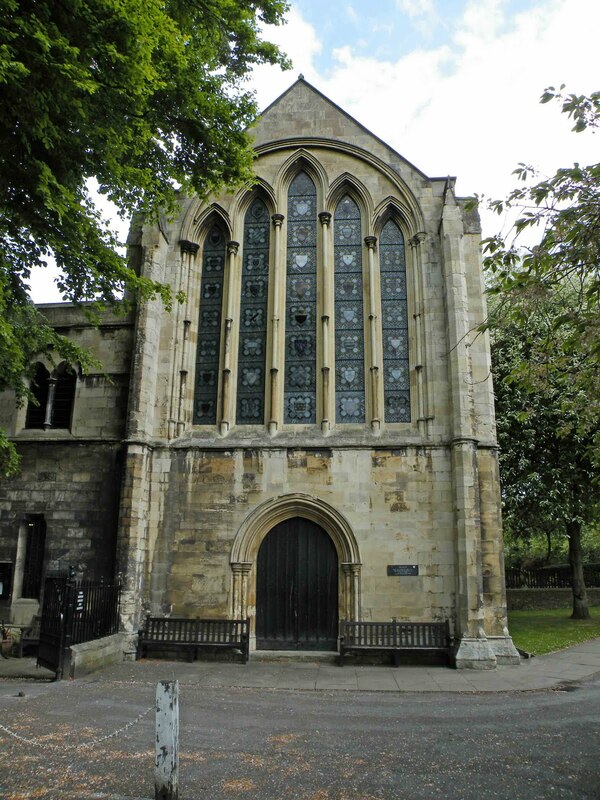 The second part to this site, is a building known today as the Chapel. This simple rectangular building dates from the 13th century, possibly built around 1230, and sits to the North East of the ruined arcade. 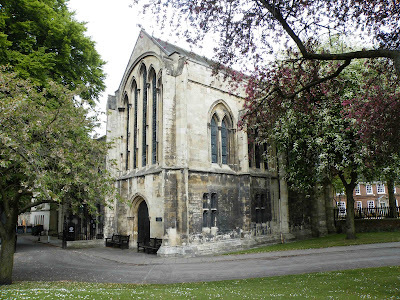 It is now used as the Minster Library. 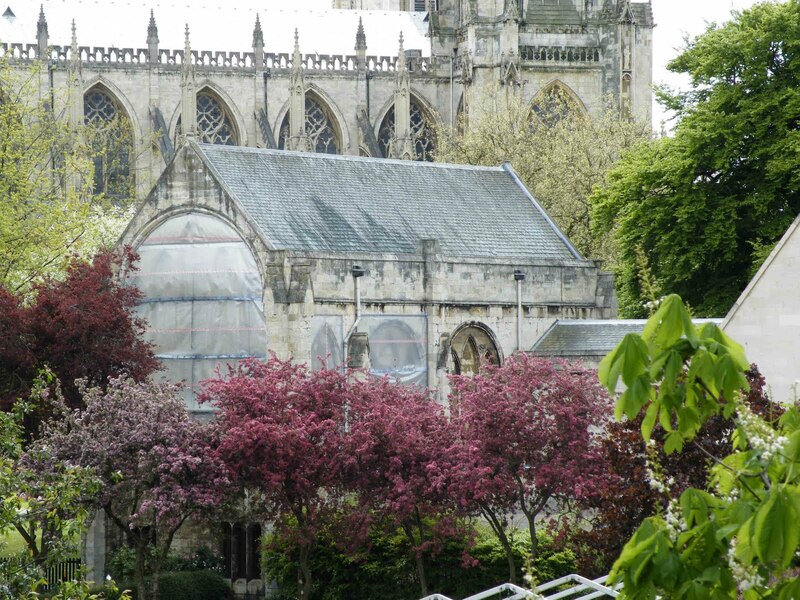 The arcade and the chapel can both be viewed from the parks surrounding the Minster.